They who used to fall short of words praising the Little-Master Blaster, Sachin Ramesh Tendulkar , are also adding on to the list of his critics , questioning Sachin’s intention ! 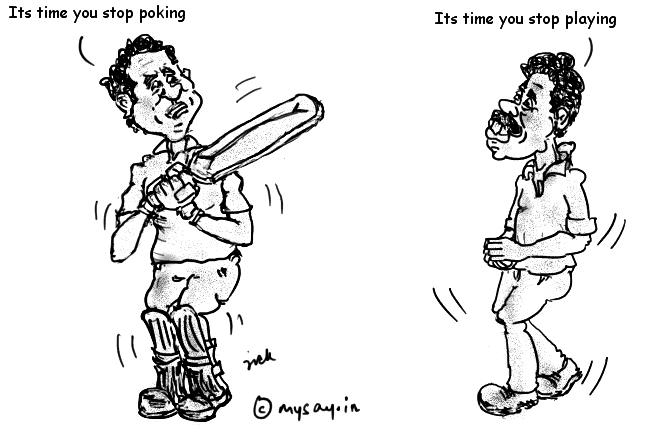 Ian Chappell , the former Australian Captain and cricket legend, doubts Sachin’s intention as well. When the air blew against the Master-Blaster, in the past, he would always come back and hit bang hard on the face of criticism, with his performance. However, this time , it is his 100th century which people doubt is the only thing, he is playing International Cricket for and not for his nation. In the huge list of Sachin’s celebrity critics, stand many former Indian cricket players too, who are not as blunt as Ian has been. Probably, no one denies Sachin’s potential to be able to score rapidly , in any international matches, even now. Are there valid reasons with critics to ask Sachin to retire ? Well, since last few months, Sachin is being criticized by Media and Cricket-Experts for delaying his retirement. Throughout the Australian Tour Sachin could not get that (now, better be mentioned as the most controversial) 100 and the most deserving and anticipated one too. His decision to play ODIs again is also declaring his intent of playing just for that record. The question is why should he not play for records? Why should he retire? If he be compared with the young Team India players, he is doing fairly good.Except for Gambhir and Kohli, which youngster of Team India did miracles in Australia ? Hence he very much deserves to remain in the squad as his experience and being in the Top 11 matters , even today. There is no opponent team which does not celebrate Sachin’s wicket with extra-excitement, till date. It is because he is still a terror to the opponent, worldwide ! When it comes to records, why should a player not play for records ? Do they not matter ? Do numbers not count in the game? Yes they do ! And he getting that 100th century would bring proud to the nation as well. Even if some one does it after him, it would be crossing a milestone which an Indian Cricketer would have made ! Above all, had numbers and records not been their under his name, Sachin would not have been praised like Sachin! -Ask Sachin to retire if you can bring in a Replica else let him decide when he wishes to, as his being in the team, matters and would always do so ! Is Sehwag Dhoni rift reason for Team India Loss ? While the BCCI keeps denying the rift between Team India’s Captain MS Dhoni and Vice-Captain , Virender Sehwag, the ongoing Commonwealth Series has exposed their discontent in the media. Captain’s statment about seniors needed to be more active on field to his rotation policy has all been debated by Sehwag. BCCI terming it as media speculation and terming it as minor difference of opinion may not help Team India’s overall performance. Recent news confirms that BCCI chief Srinivasan had a word with Team manager asking him about the matter. Well, reasons might be any but a team which rarely wins and that too with minor margins and mostly losses and with huge should be more bothered on its Team performance rather than playing the blame game. Dhoni has been heard criticizing seniors quite a number of times but he does not speak about the young blood like Sharma,Raina, Yadav and Ashwin. The question is why does he blame only the seniors ? While he plays his knock almost every other match but equally blames only the seniors, on the media. Are the new kids coming to do net-practise in matches, that they should not be questioned ? Other than Virat Kohli, there has been no young player who is consistent at present. Hope the captain is not being partial! Moreover, it is the captain’s responsibility to co-ordinate and take out the best of all the players. Rotational policies if applied for seniors why do they not apply for other regular non-performers ? Is it just because they are young ? Is it just because they can jump a little higher or may save 20 odd runs on the field? What about scoring them with the bat or bowling the opponents out ? At an International level and being a World Cup Winner, a team is expected to be more professional with its approach both on and off the fields. Rather than taking out frustration on team members, the captain and vice-captain should concentrate on improving individual games and overall team performance. Kapil Dev wants Sachin Tendulkar to retire ! With many others, now stands Kapil Dev,the former Indian captain and the first to make India proud of winning the World Cup of 1983. He wants Sachin to retire at the earliest now. Of the view that he should have rather retired before the 2011 world-cup and at least after that, he feels age factor is taking a toll on the Master Blaster! 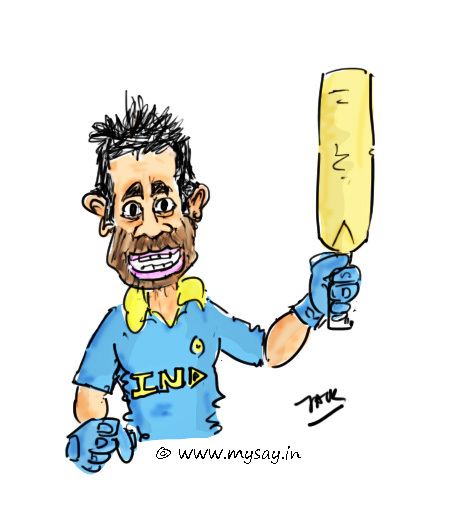 Why should not Sachin retire without making 100th century? While there are continued criticisms faced by Sachin still not retiring and most believe it is his 100th century what he is playing for, one should not forget at the end records do matter. Among many other records which the great batsman has earned the awaited century would surely be the biggest, if at all the critics allow him to continue. Sachin Tendulkar when compared to the young Indian cricketers is not playing that bad. Who in the team is playing great ? Is it Suresh Raina , Jadeja , Rohit Sharma , who ? 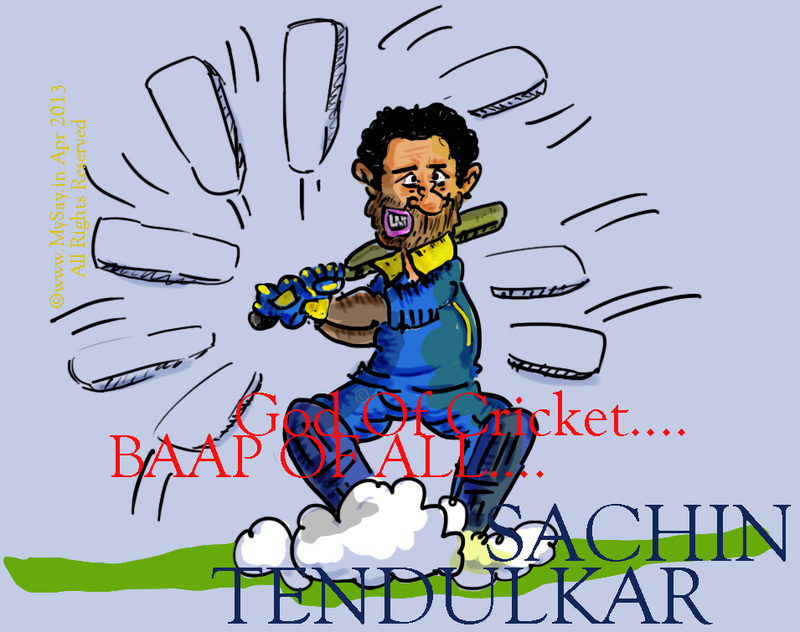 Sachin is playing lot better than one would have expected out of a man of his age. Critics wanted him to retire 5 years back but he came back and showed his worth. And why should he not think of records ? Although he has been ‘One Man Army’ many a times in the past , winning matches for India, single-handedly , he has never been a reason of India losing. With due respect to the great player Kapil Dev, it should also be noticed that during the ending phase of his career, none of the opponent batsmen ever hesitated scoring boundaries of Kapil’s bowl. In fact he would stand very expensive many a times and yet he did not quit till he broke the record of Richard Hadlee of 433 wickets!